Read More about the Marantz PMD660 I've been completely enamored with my portable Compact Flash recording Edirol R-1 ever since it arrived in the mail back in December. It records outstandingly well, has a battery life I never would have expected from something relying on AA batteries as a power source and so far, I've managed to record everything I've needed to using only a 1GB card. There's one little feature the R-1 lacks that could encourage me to upgrade to another recorder; an XLR microphone connection. For about $60 more than the going rate for an R-1, Marantz now offers PMD660, which is about the same size and also relies on AA batteries for juice (4 batteries to the R-1's 2). 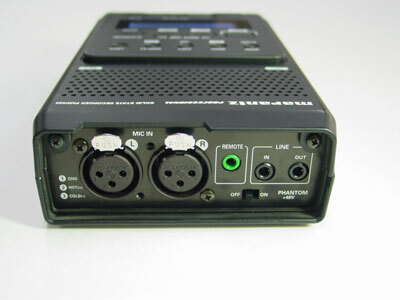 It offers 16-bit 44.1kHz or 48kHz WAV recording or MP3 recording, in combination with the two XLR inputs on one side of the case. The PMD660 is slightly larger than the Edirol R-1 and weighs more too, but it's still a handheld size unit. If XLR connections are not a concern, I'd stick with the Edirol R-1 at a lower price and lighter overall weight. On the other hand, after several months with the R-1, I'm realizing the greater potential for noise in the recording thanks to the required mini-plug adapter for converting a standard XLR microphone cable to something that can plug into the tiny little jack. 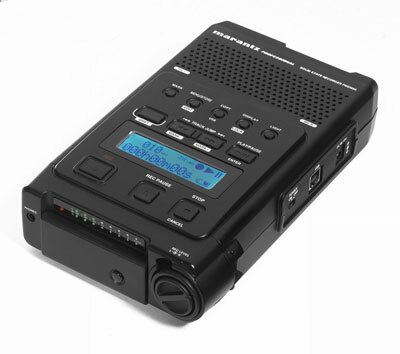 If you need even more connection options and over the shoulder portability is good enough, there's also the Marantz PMD670, which records to Compact Flash and offers RCA connectors in addition to mini-plug and XLR options.